As of late we’ve been witnessing a lot of really cool and interesting upgrades from our friends from Invision. They never ceased to come up with new tools and upgrades to facilitate our workflow for the greater good and also work with existing platforms to bring their products around our work environment so we can have to the right tools to create the right user experience. Let us introduce their latest with a partnership with Atlassian, the company that introduced us JIRA. For those who doesn’t know what is JIRA, It’s a very helpful tool for a collaboration from the designers and developers to bring together their game through creating tickets, assigning tasks, fixing/tracking bugs and more. Looking forward to try it myself! You can now pair an InVision prototype with any JIRA issue. 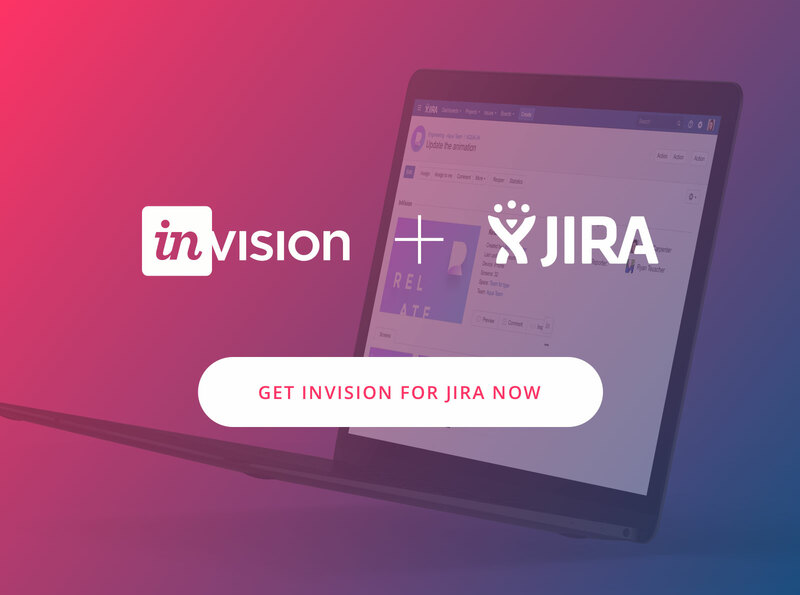 It’s also why we’re excited to announce our partnership with Atlassian and introduce InVision for JIRA, a new way to bring your design workflow right inside the development tool your team already relies on. By pairing an InVision prototype with a JIRA issue, everyone can see what’s being worked on and get real time information about the design, keeping your team and projects organized in one place. That’s it! You’ll see a thumbnail preview of your design, along with valuable information about your prototype. How to get started: right now.